The competition is conducted by CONNECTHER annually which aims to elevate the status of women and girls everywhere. → The participants should be enrolled in undergraduates program (global) OR should be a full-time high school student. → One director (Participant) is allowed to enter maximum 2 short movies in the competition. → First, the participant (Director of the short film) will have to provide personal details such as name, full address, city, state & zip code, phone number, valid email id, grade, the name of the school, name of the country. 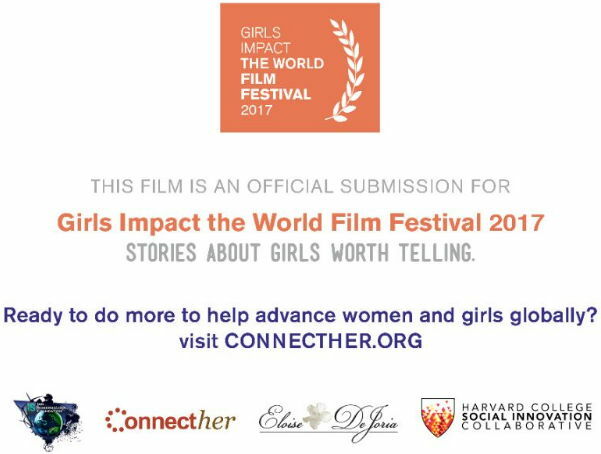 The participants can submit their short movie only through online mode on the official website at http://www.connecther.org. After filling the application form the participants have to enter the link of the short movie made by them in the box given there. The length of the short movie sent by the participants must be between 3-6 minutes. The short film must be an original work of the participant and it should not infringe any copyright or ownership agreements. At the end of the short film, the participants have to add a slide that shows at least 2 or more organizations that are working on solutions to the issue area that the participants address in their short film. The film must contain the following still image as End Marker.